With over 25 years of experience, Kelly is a Registered Nurse with extensive experience and training in all aspects of Dermatology. Her love of learning has taken her from being a Medic in the Army, to a Nationally Registered EMT, to a Registered Nurse. She is among an elite group of nurses who have chosen to become certified Registered Nurses in the state of Maryland in their specialty field, being awarded the prestigious credential of Certified Aesthetic Nurse Specialist (CANS). This signifies that she has met the requirement for hours and years experience within an Aesthetic specialty practice and has passed the certification exam. 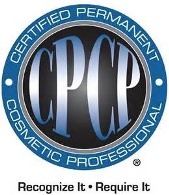 In addition to her formal health care education, Kelly has certifications and training in the following areas: Certified Aesthetic Nurse Specialist, Advanced DUET and EPIC Training Techniques with Allergan on Botox and Facial Fillers, Master’s Certified PMU Technician by the American Institute of Intradermal Cosmetics and PMU Certification through The Society of Permanent Cosmetic Professionals. 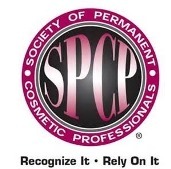 She was awarded a lifetime membership into the Society of Permanent Cosmetic Professionals (SPCP) for her ten year tenure of providing permanent makeup, practicing by and upholding the important Mission Statement of the SPCP. Specializing in skincare, Kelly believes this is the base of all rejuvenation processes. Each client is given an individual assessment and treatment program to meet their expectations, while improving the health of their skin. Added to basic rejuvenation is the ability to integrate advanced treatments, such as laser, injectables using the latest advanced filler and neurotoxin techniques and body sculpting using truSculpt 3-D. To round out the full rejuvenation and enhancement experience, permanent makeup is done for the perfect eyeliner or brow. Each treatment is prescribed by her medical directors and guided by the client’s needs and desired outcomes. 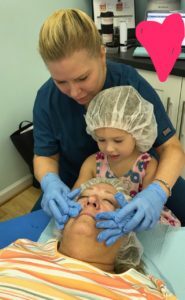 Kelly is committed to continuing her training and education to keeps up to date with new treatments and advances in the medical skin care realm. She has offices in Southern Maryland and in Washington, DC. Along with her private practices, she is considered an expert in her field, providing consulting services to offices looking to integrate aesthetics into their practices. 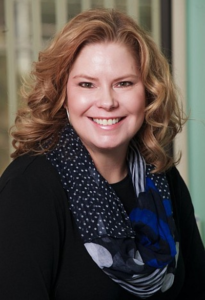 Her decades of experience in laser have afforded her a position as a Nurse Educator for Cutera, Inc., traveling the country to train physicians, nurses and medical support staff of dermatology offices, medical offices and medical spas on safe laser use. She is excited about the growth of her Dunkirk, MD office and thrilled to announce the addition of her Medical Director and amazing practitioner, Ashley Carmen, CRNP, FNP-C.
Kelly LOVES her clients and her special helpers! We can educate everyone to take great care of their skin and look their best always!! !